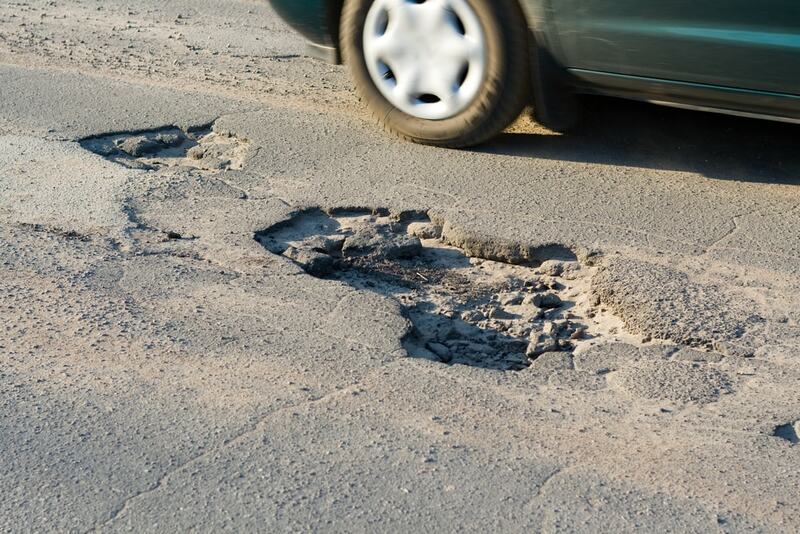 One of the many annoyances countless drivers face is the dreaded pothole. It does not matter how shallow or deep these are, driving over them is a huge pain. These little gaps in the road can interrupt the flow of the commute and are a major cause of axle and suspension failure in cars. They can form as a result of bad road design and building as well as severe weather and poor drainage. 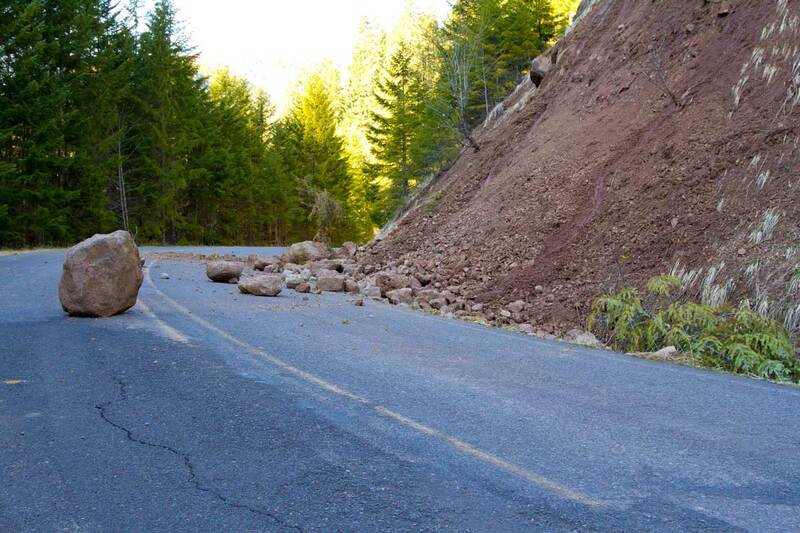 However, it seems that while the process for repairing these won’t get any easier (local government and manual labor never seem to mix well), the technology enabling drivers to avoid them is well within reach. As far back as the late 2000s, road scanning systems that allow potholes to be detected up to three years before they form has been in the works. And while it has not been perfected, the base tech developed does detect both minor and major holes in the road when they are far enough for the driver to avoid them or adjust depending on the depth. 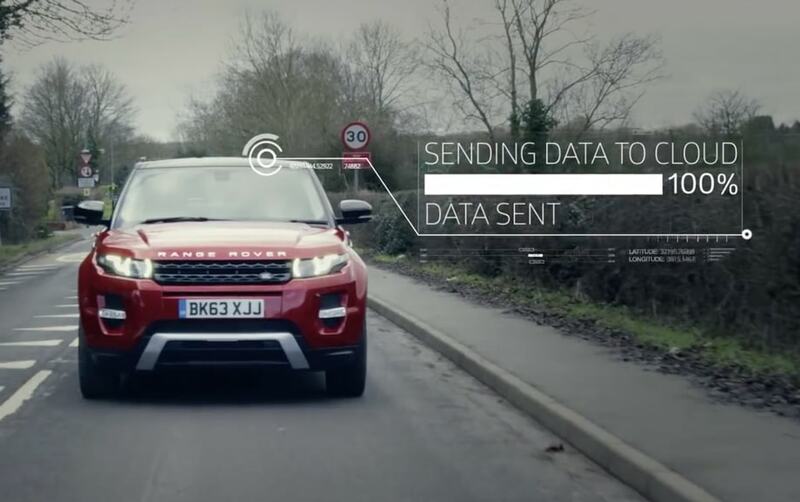 As of now, Jaguar’s Land Rover is at the forefront at making this technology ready for the public. The tech works similarly as to how some care are equipped to sense how close outside objects are to the vehicle. Sensors similar to the ones to detect objects while reversing or approaching vehicles in a blind spot, will detect upcoming road hazards like potholes, construction work, and more. 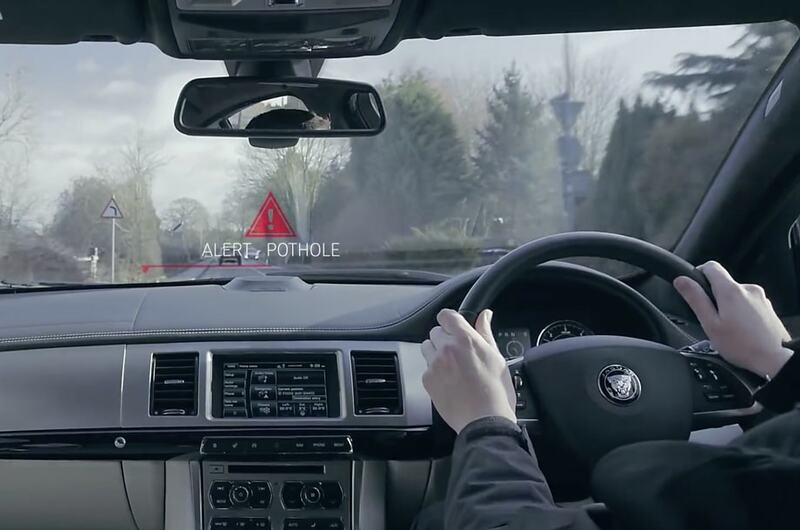 Jaguar Land Rover is specifically developing the technology to identify the location and the severity of the potholes and share the information with not only with drivers, but other vehicles but along with the relevant authorities. The idea behind the technology is to allow drivers enough time to slow down and avoid danger. It could also be used to adjust suspension settings to dilute the brunt. The ‘Pothole Alert’ research developed by automakers and research labs could not only help cut down damage to wheels and vehicles, but it could help prevent accidents too. Another great potential perk is that the system could automatically steer cars around potholes while in one lane, and if the pothole suddenly appeared to be too large for such an endeavor, the safety system would try and stop the car entirely. 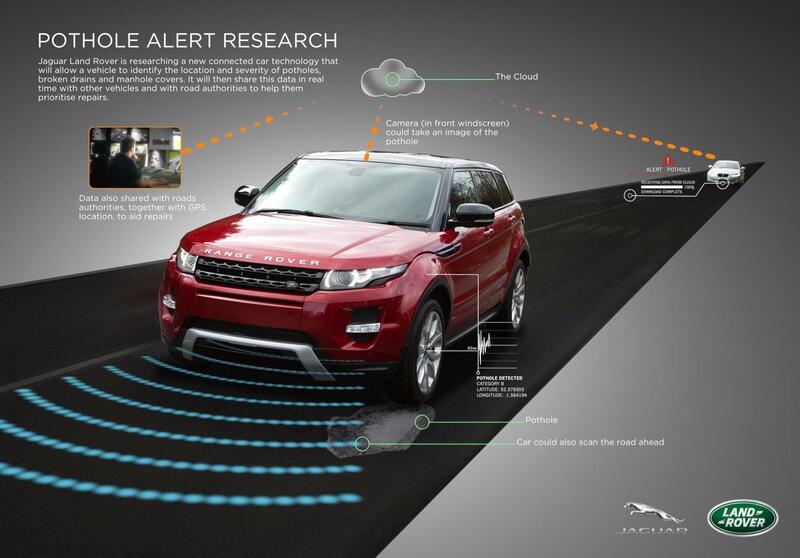 Jaguar Land Rover has tested this technology with their Range Rover Evoque and Discovery Sport vehicles. It works through sophisticated sensors that allow the vehicle to profile the road surface under the wheels and identify potholes, raised manholes, and broken drain covers. By monitoring the motion of the vehicle and changes in the height of the suspension, the car is able to continuously adjust the vehicle’s suspension characteristics, giving passengers a more comfortable ride over uneven and damaged road surfaces. With the idea of “connected cars” becoming the automotive norm, automakers have also begun implementing a system that will turn the information from these vehicle sensors into ‘big data’ and share it for the benefit of others. Keep in mind that the technology isn’t being built into consumer vehicles just yet — it’s still in testing on research vehicles. It has been noted by Jaguar Land Rover that building this into a car actually doesn’t appear to require much more technology than what’s already inside of them. For instance, Land Rover is adding on a forward-facing camera, potentially allowing its car to scan the road ahead, but it’s also relying on information from the car’s suspension and GPS to round out the picture. Once the data’s been gathered, however, the car will need a way to send the information off and relay it to other vehicles, so this won’t be very useful until there are a lot of connected cars on the road. Land Rover continues to have bigger plans for the tech down the road as their development continues. 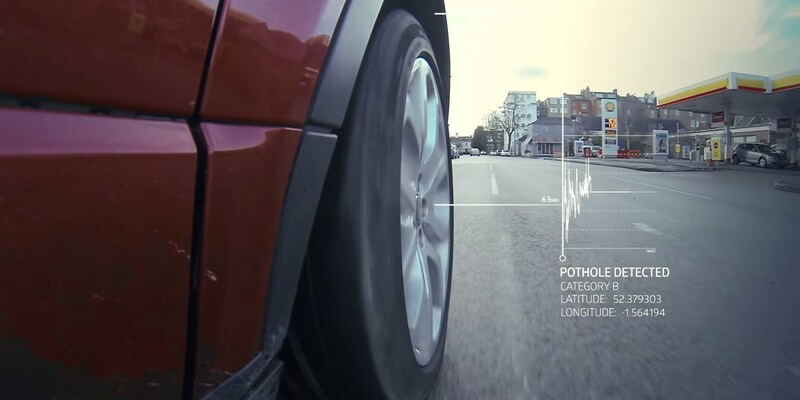 It seems detecting potholes and refining their connected cars tech steps toward a more fully autonomous car.